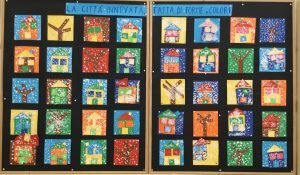 Kindergarten is a paritaria bilingual Italian/English School that has been in activity since 1973. The Kindergarten School is a Nursery School with 2 sections, a Pre-School with 3 bilingual sections and 3 bilingual international sections, a bilingual Elementary School, and a bilingual international Middle School. Kindergarten became a Cambridge International School in 2016. The Kindergarten School has three campuses, close to each other and in the centre of the city of Florence.